Each engine works as hard as the other, so why the big difference? Tuning a car into oblivion is a lot like becoming Jason Bourne because it means one must expect the unexpected. By adopting super spy skills or loads of horsepower, normal days go from casual Sunday cruises or a trip to market to all-out war at a moment’s notice. And like Bourne, who takes on enemies twice his size and wins, this E36 BMW M3 didn’t look like much stacked up next to Godzilla. But the results speak for themselves. 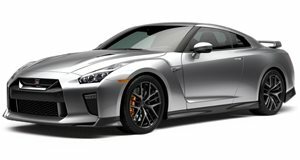 Bimmer fans might wince at the fact that the GT-R here has been given an ECU tune, enabling all 3.8-liters of force-fed engine to make close to 650 horsepower. For reference, a stock E36 M3 came with between 282 and 321 horsepower, which was considered a modest sum in its heyday. Welp, as you can imagine, that’s not the case here. This owner decided that they wanted more. Greed is good anyways, right? 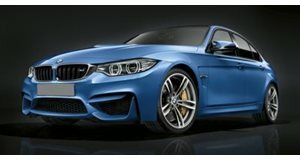 According to BMW Blog, to get more horsepower, they swapped the stock engine for an M50B25 2.5-liter straight six, simply because that engine works well when it’s straddled by turbochargers. All things considered, this M3 is now making 650 horsepower. We can see hope start to dwindle for the BMW when the GT-R carves out an initial lead because its automatic gearbox shifts quicker than the manual M3, but the E36’s superior power to weight proves to be too much for porky Godzilla. Guess there is a virtue in simplicity.